We discuss four tips for fine-tuning your Twitter, Facebook and You Tube strategy to get results that support your bottom line. Article source – Strategizing: Remember your building blocks? In some ways we can say that the Red Cross or World Wildlife Fund are lucky, insofar as they pursue causes that are close to many people’s hearts. If you want to save a thousand destitute children victimized by the Libyan war, many will support you and help spread the word. However, selling white goods such as washers and dryers or offering auditing and advisory services is far less emotionally engaging. : Be realistic – your story may only interest a few, not millions who desperately want Lady Gaga to tell all. Are you in sales or reordering? People love a coupon for $1 off their next purchase at Starbucks, but will they become regulars or just get it once? : You must develop a dedicated following. A smaller but dedicated fan-base may be worth much more than millions who do not notice your Facebook wall posts. Resource: Facebook – are your fans dedicated or just lame ducks? Should I be on Facebook, Twitter AND Fifth Avenue? 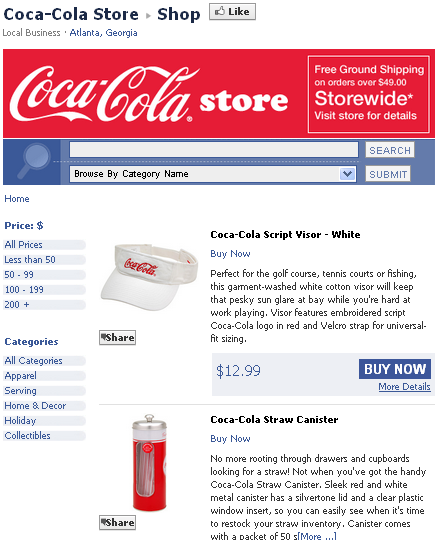 In Coca-Cola’s case, having a store on Facebook is just one of many methods used to assure the brand’s visibility across the web. With a trendy store on Paris’ Champs-Élysées, you can use Facebook and Twitter to get more people to come in or interest those who have yet to visit you, such as organizing exclusive store events that only Facebook fans are eligible to attend. 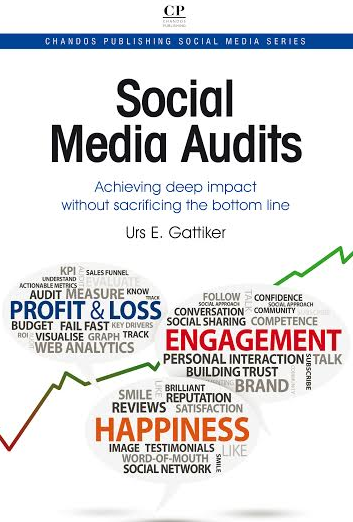 For consulting companies, content valued by your target audience might be offered through Facebook or Twitter (e.g., a link to the corporate blog post containing the eBook download). An officer for the Born HIV Free Campaign might focus on how many children today’s raised funds have helped by uploading or linking to images taken by those in the trenches. Whatever tools and means are used, the target audience must be reached and the message must be properly communicated to them. Some enthusiasts were let loose to convince me to purchase the Toshiba Portégé 700 notebook in this video, but it leaves something to be desired. Carla Bruni-Sarkozy’s 45-second Born HIV Free Campaign video is the opposite: simple, short, powerful, with a call to action no one can refuse. That is the advantage such groups have and brands completely lack unless they do some cause marketing with a charity like IFB Löwenmut. : Using Facebook, Twitter or YouTube requires spelling out the top three reasons for using that tool or platform. Formulating these goals is like the elevator test: can you tell your business partner why you must spend those resources on these platforms? If you can, you pass, and you succeed if you manage a successful execution. Which SMART metrics do you use? A United Nations (UN) or comparable agency can always try to reach multipliers that will help spread your news. The challenge measuring performance when using such tweets, even more important because the vast majority of people will not read, much less pass on, your content. People set up their social media channels to re-tweet without reading the content a URL might lead to – terrible risk and reputation management, but it still happens. Remember the 900-98-1.5-0.5 rule, which states that 900 out of every 1000 people never see information in their inbox (e.g., Facebook email about new content) or RSS reader, 98 people read it, 1.5 people share and only 0.5 people create original content (e.g., blog post, comment or mention of an item in a discussion group). Even if your 32 tweets and re-tweets by others reach 400,000 people and the program records 1,200,000 impressions the question must be asked: So what? or, What does this mean? : Understand that, even if one of your tweets gets re-tweeted and reaches 1.2 million, it will have no real effect on your bottom line. Focus on how many people clicked on the URL you tweeted, and how many wrote a comment on your blog or the discussion group thread you linked to. An EXTRA tip: If you want to find more of our posts and white papers on this or any other topic, just enter a keyword and our name on your favorite search engine, such as Twitter tools ComMetrics. – point this out to your friends! 1. How have you used Facebook or Twitter to support your efforts in attracting repeat sales or donations? 2. 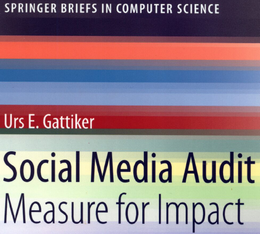 Which type of measures are you using to assess your Twitter or Facebook success? 3. What measures have not worked for you? 4. What question would you like to ask; our team will try to answer – guaranteed. I started twittering for our charity Loewenmut but handed it over to a colleague some months ago. 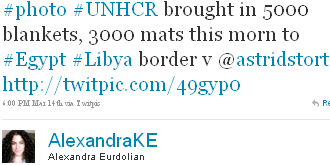 I think it is not, for a small charity like ours, easy to use twitter well! It takes a lot of time / resources to gain the experience you need to get things going with twitter. But I am happy we are still on track because I believe in the future Twitter will be of great importance for Loewenmut.Our measures were pretty bare: The content management system of our website gives us the opportunity to generate the number of clicks on our site for set periods of time. But you know: Even such rough data gives you quite an impression to start with.Thanks for mentioning Loewenmut! Severely disabled children deserve attention, in Africa even more so than in more privileged regions of the world. Stan:nnMeasuring Twitter success for @Loewenmut #charity is surely a challenge.nnClicks is one way to do it. nOne might also want to look at the statistics from your url shortener. These things are pretty accurate because every time somebody clicks on such a link that was tweeted, it counts. These numbers are often more accurate than others, because the counter adds it up even even if one has de-activated scripts on one’s browser. In the latter case, of course, Google Analytics would not count the visit to your website.nnBut like a baby, one begins to crawl, stand-up and then walk before attempting to make the 100 meter dash. Hence, beginning to benchmark like you are doing is not easy and one learns in the process. Soon you begin benchmarking the English against your German Twitter account. This might also reveal some interesting insights.nnThanks for sharing and keep up the good fight. HansnnThanks so much for your comment. Well Ms. Sarkozy is a bit special I grant you that. Nevertheless, as the Toshiba video shows, money alone does not do the trick, unless you are able to get the message across succinctly with a call to action.nnThe question is also if spending part of the money Red Bull spends on ‘classical’ marketing and its F-1 racing team could be used as or more effectively with social media.nnMeasurement success on Twitter or Facebook is not easy. . It has to start with defining oneu2019s goals.nBy defining exactly what you hope to gain from your promotion, sweepstake or buy 2 get 1 free marketing push, you can better design the promotion itself to achieve these goals.nnTo illustrate this furthernnu2022tFollowers or u201clikesu201dnThe promotion can be designed in such a way that each 1,000th follower will get a lavish gift bag, free consultation or a complimentary meal.nEncourage re-tweets (RT @ComMetricsu2026) on Twitter or Identi.ca, Naijapulse.com and shares on Facebook to further spread the word.nnu2022tDonations for your charitynYou could raise money for a particular activity (e.g., building a school house, paying school fees for 50 kids for one year) whereby every 10th donation qualifies one to participate to win tea and scons with actor X (of course the latter does it for free). nnBased on the above you then have to set the metrics and so forth. But it is workable. The social media are a very important part of the NGO media strategies not only becasue of the costs.nBut also becasue of the old tradition we have in our local communities to help each other.nIt’s simple rule: everyone depends on everyone.nSo, the social media become a natural channel of communication. There are lots of groups or communities. Dear ElwirannThanks so much for putting these thoughts down in words here. This approach of – helping each other – everyone depends on everyone else is what I tried to point out during our panel at the Geneva Forum on Social Change: – GFSC2011nnI think this is a really important point, it is not just too look good but, more importantly, to make all our lives better that we help each other.nnSo we must help charities, NGOs and others to make better use of social media as well, of course it is our duty :-)nnThanks for sharing. Previous post: Can cause marketing damage reputations? Next post: How dead is SEO marketing?